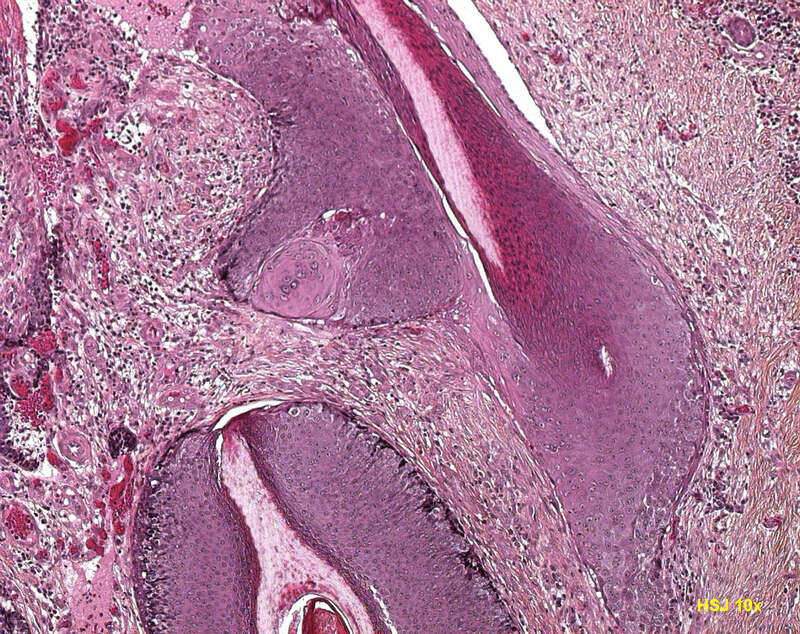 Definition: Pilomatricoma (pilomatrixoma) is a benign tumor more frequently found on the head, neck and shoulders of young adults and children. 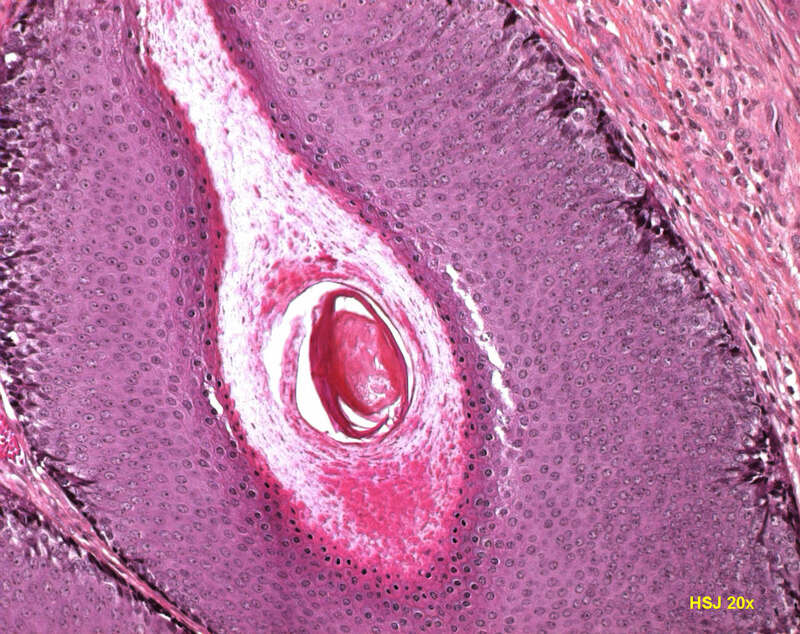 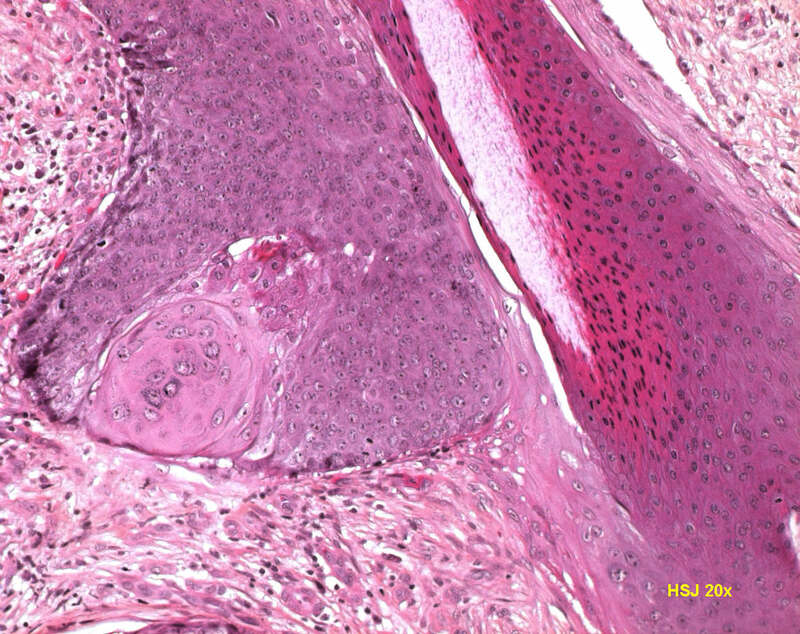 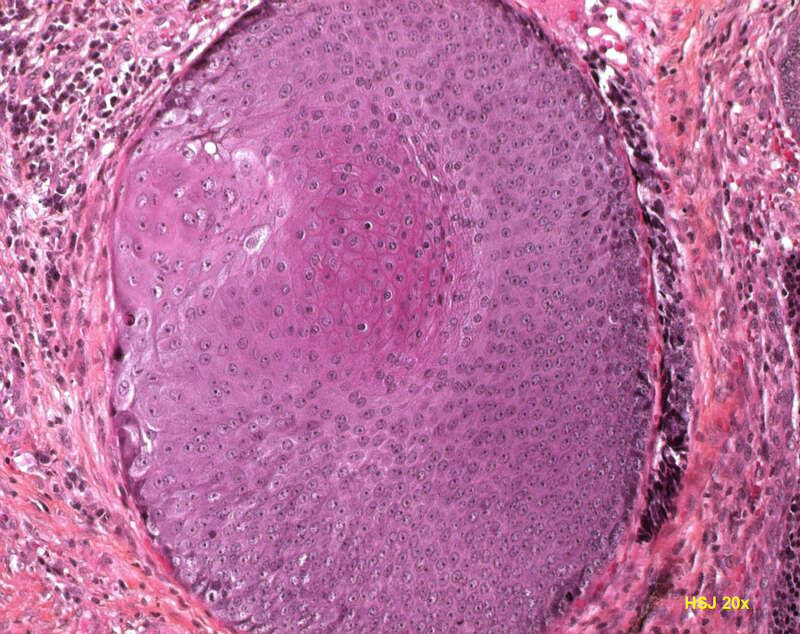 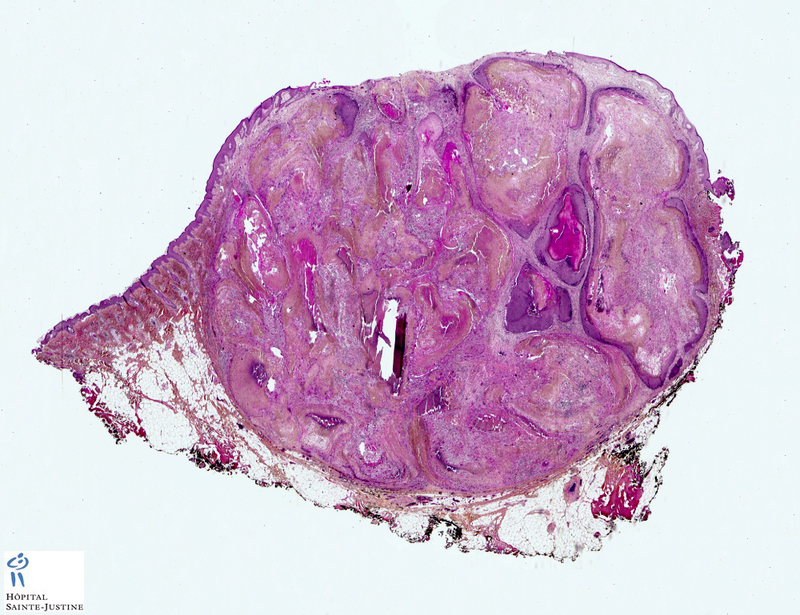 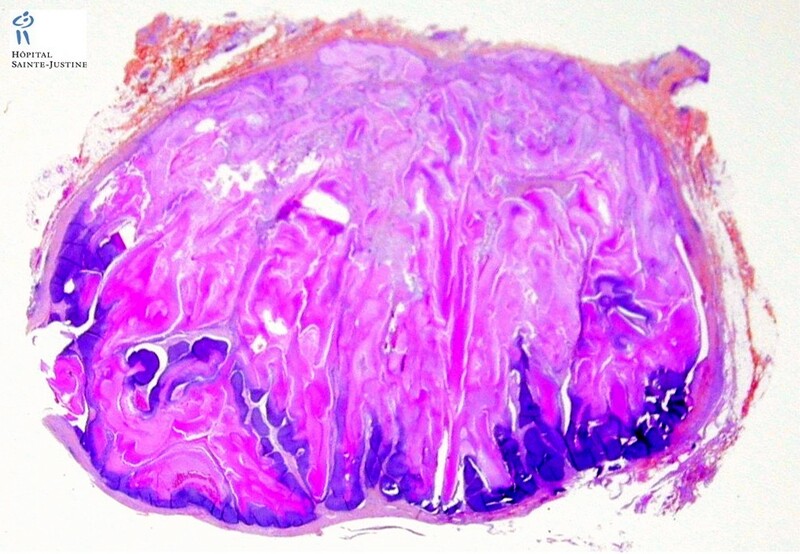 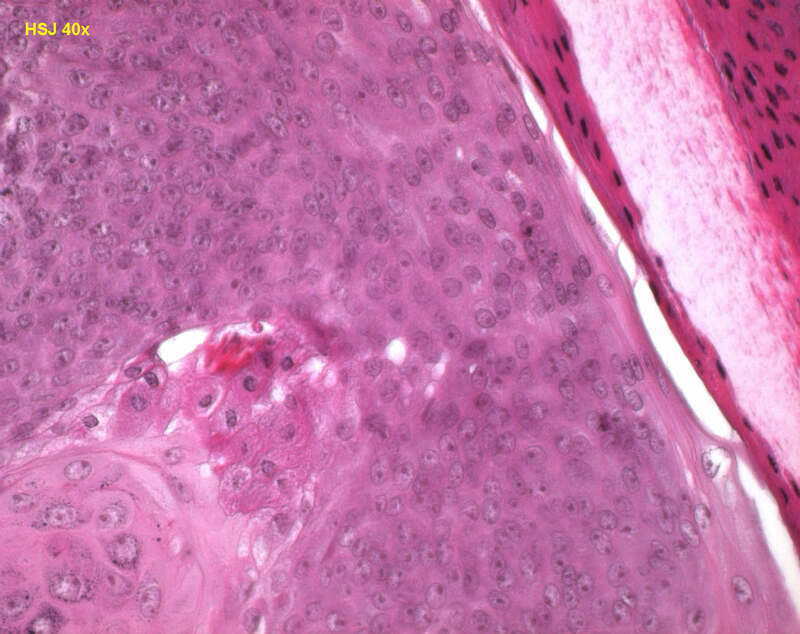 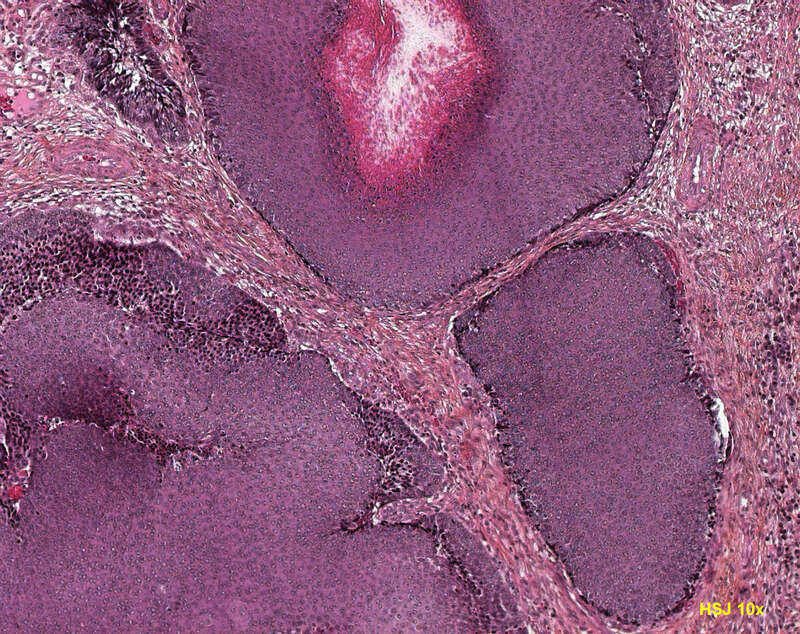 Histologically it shows nests of basaloid cells producing trichilemmal-type keratin and ghost cells - enlarged eosinophilic epithelial cells with eosinophilic cytoplasm and without a nucleus. 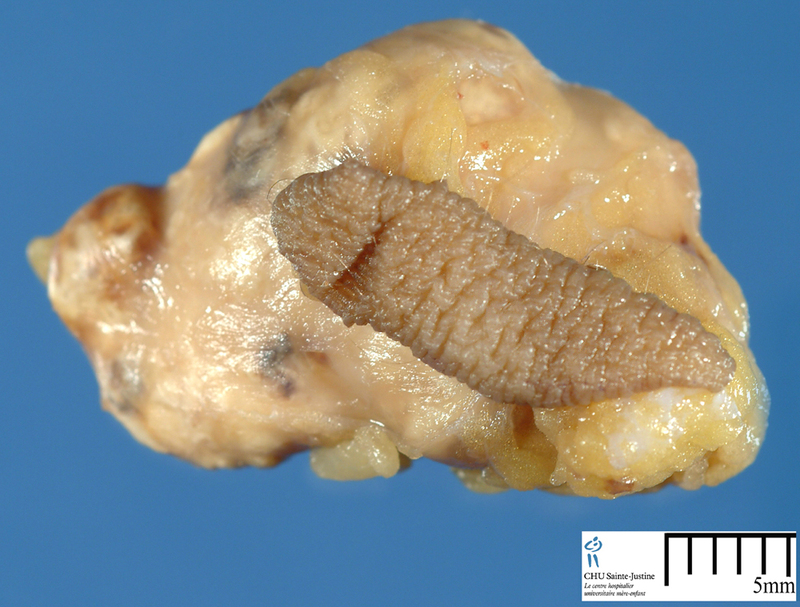 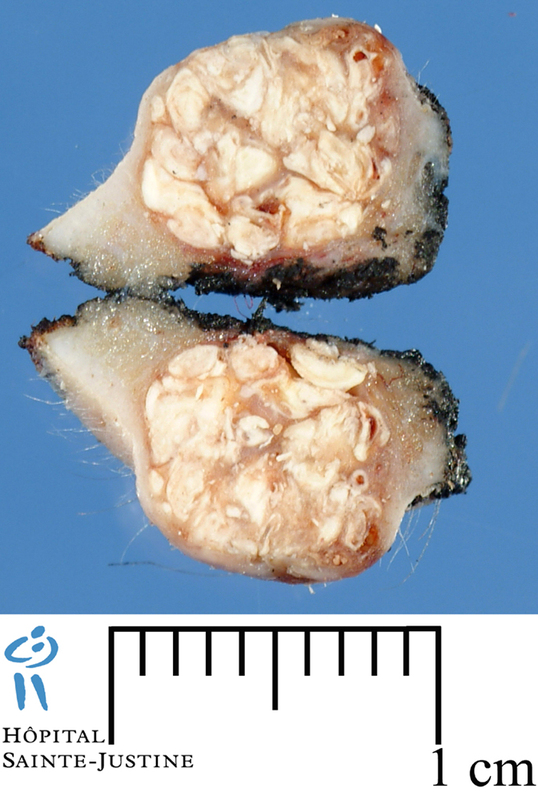 It may also show a foreign body reaction, calcification or ossification. 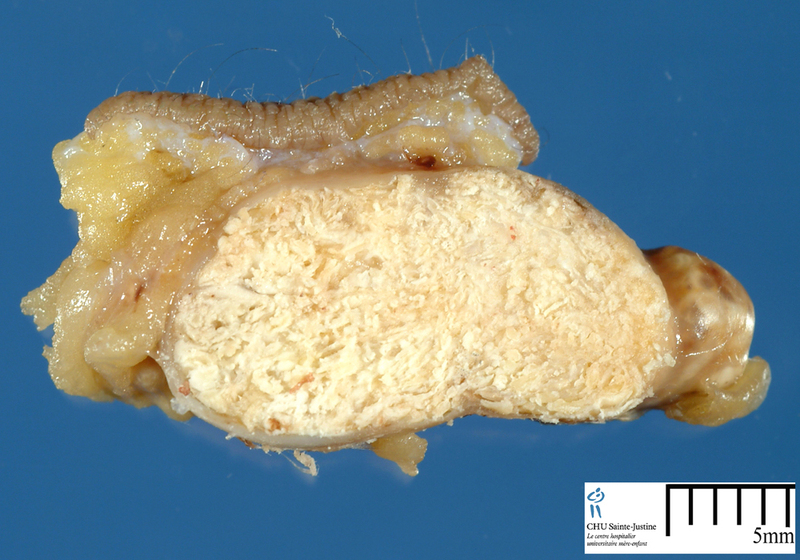 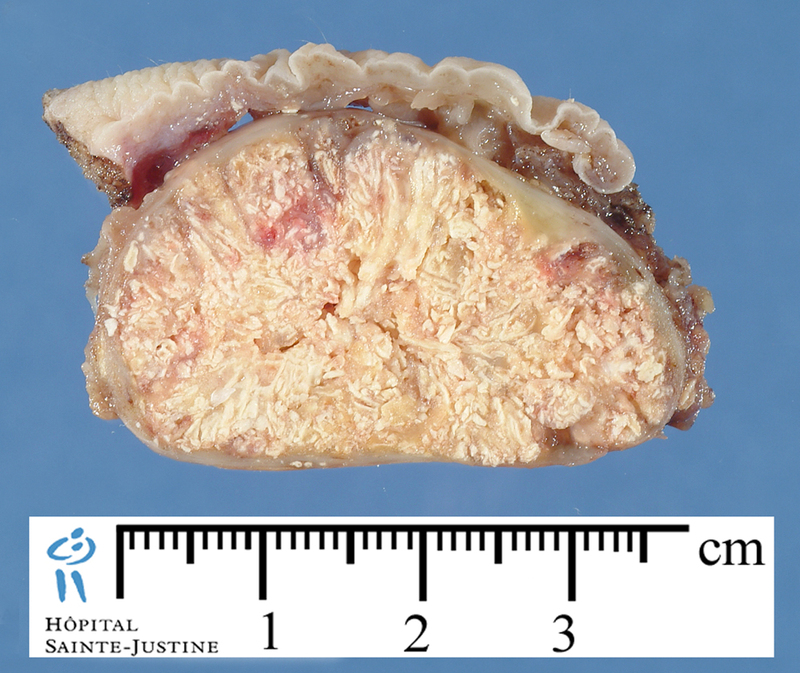 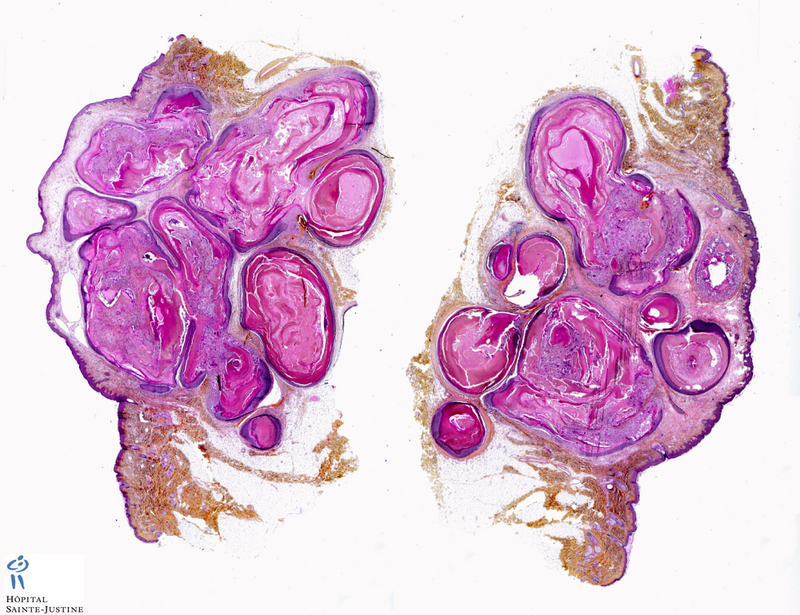 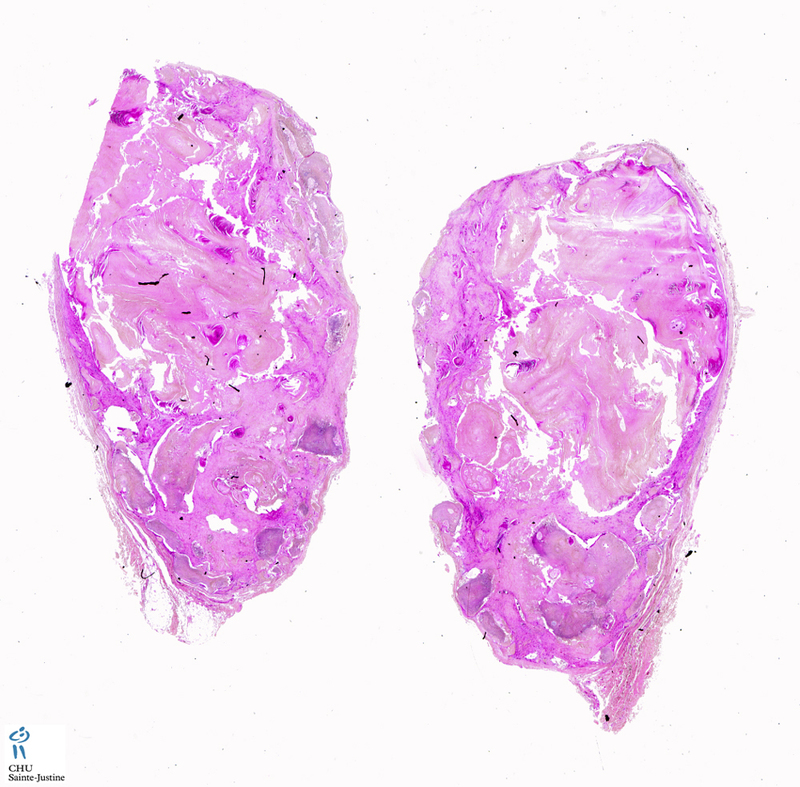 Aggressive and malignant variants are diagnosed by cytologic atypia and invasion.